The TonB system functions in iron transport and has been identified in certain Gram-negative bacteria. Recently, we reported three TonB systems in the Aeromonas hydrophila Chinese epidemic strain NJ-35, but the functions of these systems have not been thoroughly elucidated to date. In this study, we investigated the role of these TonB systems in A. hydrophila iron utilization and virulence. We found that tonB1 and tonB2 were preferentially transcribed in iron-chelated conditions, where gene expression levels were approximately 8- and 68-fold higher compared with iron-rich conditions, respectively; tonB3 was consistently transcribed at a low level under iron-repleted and iron-depleted conditions. Only the TonB2 system was required to utilize iron-binding proteins. The tonB123 mutant showed increased susceptibility to erythromycin and roxithromycin. In addition, all three tonB genes were involved in A. hydrophila virulence in zebrafish, and various phenotypes associated with environmental survival were changed with varying degrees in each tonB mutant. TonB2 plays a relatively major role in adhesion, motility, and biofilm formation, while TonB3 is more involved in the anti-phagocytosis of A. hydrophila. In each observed phenotype, no significant difference was found between the single- and double-deletion mutants, whereas the triple-deletion mutant exhibited the most serious defects, indicating that all three TonB systems of A. hydrophila coordinately complement one another. 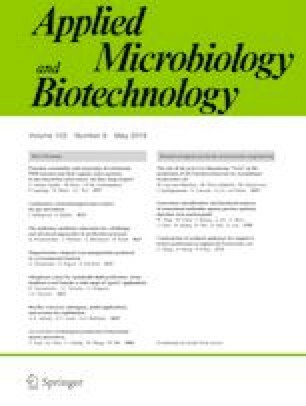 In conclusion, this study elucidates the importance of TonB in iron acquisition and virulence of A. hydrophila, which lays the foundation for future studies regarding the survival mechanisms of this bacterium in iron-restricted environments. The online version of this article ( https://doi.org/10.1007/s00253-019-09757-4) contains supplementary material, which is available to authorized users. This work was supported by the National Natural Science Foundation of China (31372454), the Three New Aquatic Projects in Jiangsu Province (D2017-3-1), the Independent Innovation Fund of Agricultural Science and Technology in Jiangsu Province (CX(17)2027), and Priority Academic Program Development of Jiangsu Higher Education Institutions (PAPD). Experiments involving live animals were carried out in accordance with animal welfare standards and were approved by the Ethical Committee for Animal Experiments of Nanjing Agricultural University, China. All experiments involving animals complied with the guidelines of the Animal Welfare Council of China.